The premiere teaser trailer revealed a Batman in bulky Samurai-inspired armor confronting the Joker. The fest of the teaser gave the audience quick glances of Batman’s friends and foes: Nightwing striking a blow against the Penguin. Robin brandishes a sword. Poison Ivy whips out her own. Catwoman takes on Harley Quinn. A men-yoroi – a facial armor – is removed, revealing the scarred visage of Two-Face. Then, Gorilla Grodd looking like a feudal lord. 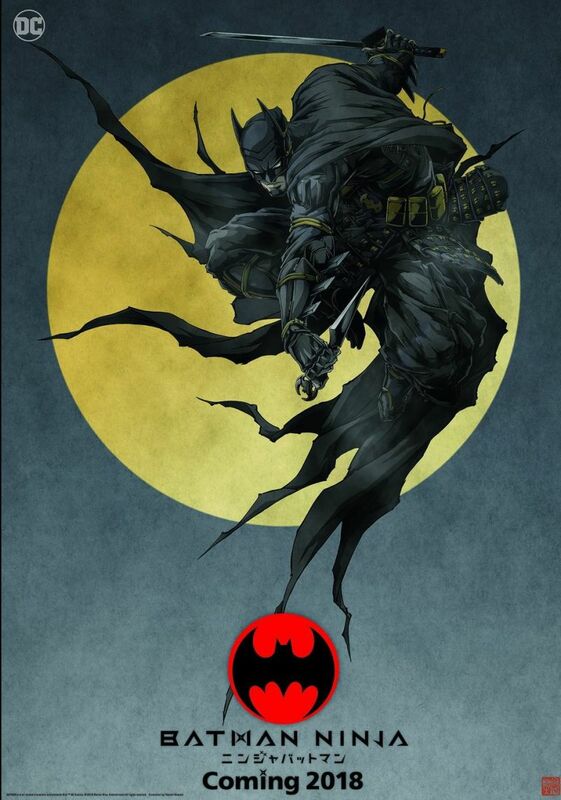 Set for a 2018 release, following Batman: Gotham By Gaslight, Batman Ninja hails from director Jumpei Mizusaki, character designer Takashi Okazaki (Afro Samurai) and writers Kazuki Nakashima, Leo Chu and Eric Garcia.